These slimline plug in Eco Panel heaters provide you with fantastic efficient energy saving heating at a fraction of the cost of most space heaters. How does the Eco Panel Heater Save Energy? A typical space heater will consume at least 1000W (1KW) of electricity. An Eco Panel uses convection technology and consumes just 425W when in use. Based on an energy rate of 15 cent for KW the Eco Panel Heater will only cost you about 6 cent per hour to run which is a saving of up to 75% when compared to some alternative space heaters. If you use your heater an average of 4 hours a day for 9 months of the year you could be save up to 150 Euro per annum on your heating billing by replacing just one traditional wall heater with an eco panel heater. This electric ceramic heater can be used as a free standing heater as it somes with stand fittings or as a wall mounted heater. Slim line design (11mm) and new model comes with an overheat protection function. The brand new LED display has a temperature sensor and a 24 hour and weekly timer. The Eco Panel Heaters are only 11mm thick and when installed will only come out to 30mm from the wall. Therefore the Eco Panel will blend seamlessly into the style and space of your room and ensure you got more room when compared to traditional wall heaters. 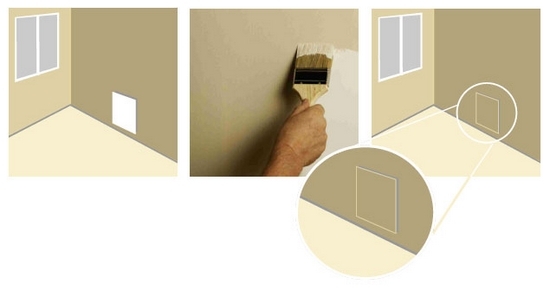 Water based paints can be used to paint the eco panel the same colour as the wall so they will hardly be noticed. As the Eco Panel uses convection technology they are safe to use around children and pets. They are completely silent when in operation and come with a 2 year warranty. As they have no moving parts to burn or fails they are extremely reliable. Will reduce your heating costs significantly. "I purchased the Eco Panel heater. Delivery was very prompt and I was surprised at the heat from panel even though I had it on the lower setting." "My Eco Panel Heater arrived the day after ordering, very efficent service. It is simple to install, it heats my room extremely well . I am delighted with my purchase and can highly recommend it". "Bought an eco panel heater. Had it within hours of ordering. Its slimline, and unnoticeable when painted same colour as wall, (use a roller not a brush), and does give heat. I have it through a timer switch so have control over its use. I had thought it would give off more heat, but the room is never cold anyway! Great website, happy to deal again there again in future. I’d like to buy an Eco Panel Heater when they are in stock. please. The smart assed answer is that you plug it in! Can you please be more specific as to what exactly you wish to know about them? Hi, Can you please tell me how long for delivery if ordered today. Order before 2.30pm today and we will have order to you tomorrow assuming you are in Ireland. can u Not install on d bracket on a wall? can i leave just lying against a wall or turn sideways? You could of course try this but they really are designed for wall installation. is there a selectable thermostat on side of heater. Can you tell me if the heaters generate the same heat as a heater that using 1kw ? And if i was to order but was unhappy what is the return policy if any? And finally is there deals on a purchase of 6 heaters ? All I can say is that we are selling this product for 18 months and nobody has ever returned them because they were unhappy with the heat they generate. In many cases people that used to use 2 to 3kw fan heaters are now using the Eco panels. We always accept returns on our products. We are governed by eu distance selling laws so we have got to. However the Eco panels are installed the on the wall so if not returned to us in a condition fill for resale we could not accept it. The product does however come with a 2 year manufacturers guarantee. No it doesn’t work like a storage heater. You just switch these on when you need heat in the room. You can use plug in timers if you want it to switch on at certain times during the day. I am currently using 3 storage heaters to heat a reasonable sized pre-school room. Are these heaters more energy efficient than the traditional storage heaters? And are they touch safe if a child touched them? The panel heaters would be much more energy efficient that traditional storage heaters but it is important to note that the panel heaters are by and large used as a secondary heating solution whereas the storage heaters tend to be a primary heating solution.With that said if the room is extremely well insulated and you install sufficient numbers of the Eco Panel heaters in the room (1 per 12sqm) it might work out fine for you. They are safe to touch. When switch on they get warm and the edges and quite hot in the centre but they will not burn anyone even if touched in the centre. Hi there, does the heater just plug in to a socket or is it wired up in to the wall? I would love to purchase one but need one that is wired in to the wall as ive taken out a storage heater and want to hang it in the existing spot. It is a plug in heater. Im sure an electrician could wire it wall though if required. You say “the panel heaters are by and large used as a secondary heating solution whereas the storage heaters tend to be a primary heating solution”. Apart from storage heater with what other forms of “primary heating solutions” would you use the panels? Im not sure if I fully understand your question. As secondary heating solutions the eco panel heaters are not designed to replace existing primary heating solutions. This would generally include storage heaters, gas central heating, oil central heating and so on. so There Is Somthing To Start The Heat ToMove Around the room not Like The Rads That Heat Up And Just Stay hot without Travelling Heat . As it is a convention type heating I guess there must be something internally that helps move the heat around the specifics of what it is unfortunately I don’t honestly don’t know. I will however put your question directly to the manufacturer and see what they have to say and report back. I can definitely say that they are extremely good at taking the chill out of a room and if you are in Kerry at any point your welcome to drop by our warehouse and see them in action as they are the only heaters we use in our office here. These heaters would not be suitable to install in a bathroom. I work from home most of the time and my office is about 16 sqm. I have gas central heating, but don’t want to be using that to heat just 1 room. Would a single eco panel be enough to keep this room at a comfortable temperature throughout the working day? Approximately, what would be the daily cost of running this assuming an 8 hour working day? It is recommended that one panel is suitable for an area of up to 12sqm. If you were running one panel for 8 hours a day the daily cost would be approximately 64 cent per day. would like to install in the roof section ? you say the heat is more from the back rather than the front so would the wall not take a lot of the heat from the room or do the heaters come with wall foil for the back of the unit ? Hello – would a panel give a comfortable amount of heat in an attic conversion, that would be about 12m2. Currently we are using a plug in radiator as the primary source of heat. While insulated the nature of an attic room is that it tends to be cold in the winter and hot in the summer. Would this work as an alternative to replace the radiator? Apologies for the delay in replying to you . Every situation is different so it is near impossible for me to give you a definite answer based on the information provided but many people are using the Eco Panel Heaters as a primary heating source and finding them very effective. However the eco panel heaters are generally designed to be used as a secondary heater to back up the primary (central heating) in a home. They are very effective at maintaining a comfortable room temperature but might not be the most effective way of getting the room from zero degrees to 20 degrees. 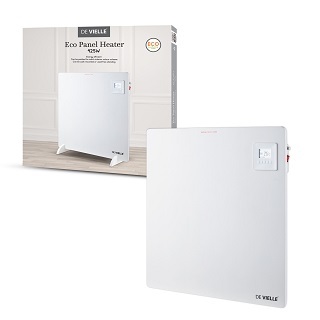 In your situation if the aim is to keep your energy bills low what might well prove to be the most effective thing to do is to use the plug in heater for about 30 mins and then use the eco panel heater to maintain room temperature after the initial boost. Hello, I have a few questions about the eco panel heater. I live in an apartment and mainly use storage heaters but the bedroom doesn’t have heating. The temperature is usually around 15 celsius in the bedroom and would like to have it around 20 degrees during the day. Would the eco panel heater do that for me? Second, one of your answers mentions it might be leaned against the wall not hanged, is there any way it could avoid being placed on the wall (feet for it to stand or anything), my landlord might not like the idea of me drilling the wall. Third, you mention in one of the previous answers that there is a thermostat on the heater, however, the description suggests buying a thermostat as an add on, which is correct? I live in an apartment and mainly use storage heaters but the bedroom doesn’t have heating. The temperature is usually around 15 celsius in the bedroom and would like to have it around 20 degrees during the day. Would the eco panel heater do that for me? Probably yes but it is impossible to tell for sure without knowing the size of the room and how well insulated it is. They are really designed to be installed on the wall. I suggest talking to your landlord about it. Your landlord should be obliged to provide some sort of heating in your bedroom in any case. An old model of the eco panel heater we sold did have a thermostat but it was packaged very poorly and they were constantly getting broken in transit to customers. The current version just has an on/off switch but can work in conjunction with the plug in timers or plug in thermostats that we sell if required. I has a sun room and I’ve been looking for a solution to heat it over the winter. 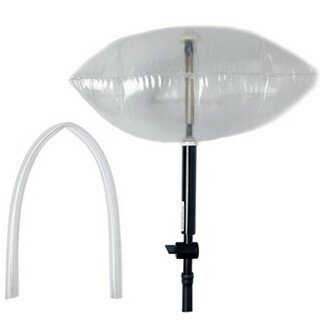 I’ve measured the walls and there’s just one space, conveniently beside a power socket where I could fit one of these. Have you nay experience of using them to heat a sun room effectively? I’m wondering if one would be adequate. Patrick thank you for your query. Many factors come into play as every situation is different. What size is the room? What temperature does the room generally drop to at night without heating? These panel heaters are recommended as a secondary heating source for an area of up to 12Sqm. Many people are using them as primary heaters and other than when the weather is extremely cold these heater will probably be sufficient in most situations. Alot of people will use either central heating or fan heaters for a short period to help bring up room temperature during extremely cold weather and then use the eco panels to top up heat throughout the home for the rest of the day. Hi does the panel give off any type of fume, or have any vents like the dymplex heaters. I have COPD and even a heater with small vents top affect me. From my own personal experience this is not an issue with the eco panel heaters. I always find that vented electric heaters and storage heating tends to dry my skin and eyes and cause dehydration but this has never been the case with the eco panel heaters. I sit beside them at would 10 hours a day. Hi . My cupboard under the stairs has no heating in it and I recently got a smell of dampness in it. Having cleared it out I found one of the walls damp to touch. I feel it could just be lack of air circulating but I’m wondering if a little heater to come on for a while during the winter it may help. Would the eco panel be suitable as a plug in device is all I could use. As long as you got a plug socket close by this should be the perfect solution for you. You could also go with something like a fan heater or an oil based electric heater but they would add more to your energy bills. Just wondering if the Eco Heater would be suitable for use in a Mobile Home ? Many people are using them in Mobile Homes, Sheds etc Alan but take into account they are only 500W and thus in extremely cold weather you might need to use something like a fan heater to support it. Hello, does this unit have a safety feature where it turns off if it tips over? The product is fully CE certified so meets all safety standards. Most people install this product on the wall in which case it will never tip over however it is also quite steady with when you use the free standing kit supplied with the product. Not sure Mary, We don’t have a date at present. We have a wonderful new 360W Far Infrared Heating Panel now available though which is priced similarly and is even more energy efficient. I live in Waterville, Co. Kerry. 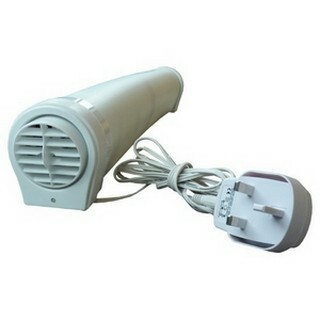 Is there anywhere local that I can see and buy these heaters? We are based near Tralee but item is out of stock until at least March 2019. We recommend the 360W Far Infrared heating panels as an alternative.